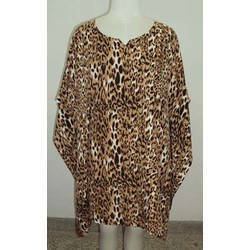 Leading Exporter of designer kaftans and tiger print short kaftan from Jaipur. We specialize in manufacturing, supplying and exporting a wide range of Designer Kaftans. 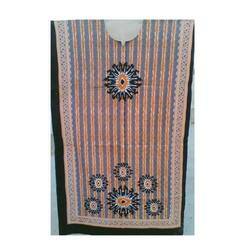 These Kaftans are tailored keeping in mind the on going trends of fashion industry. To cater to the diverse requirements of customers, we offer these Kaftans in a spectrum of colors and sizes. Innovation is our forte and we strive to manufacture, supply and export a vast array of Tiger Print Short Kaftan. The range made available by us is tailored using excellent quality fabric that is sourced from vendors of high repute. All our products are applauded by clients for their shrink resistance, trendy patters and smooth texture. Looking for Short Kaftan ?